Here's a few pics on the progress of my garden so far this season. 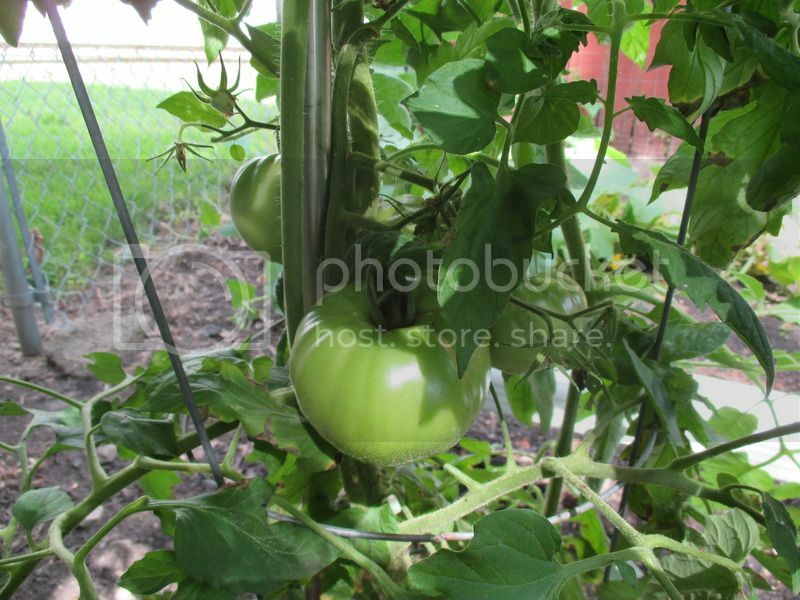 The first pic is of my tomatoes. 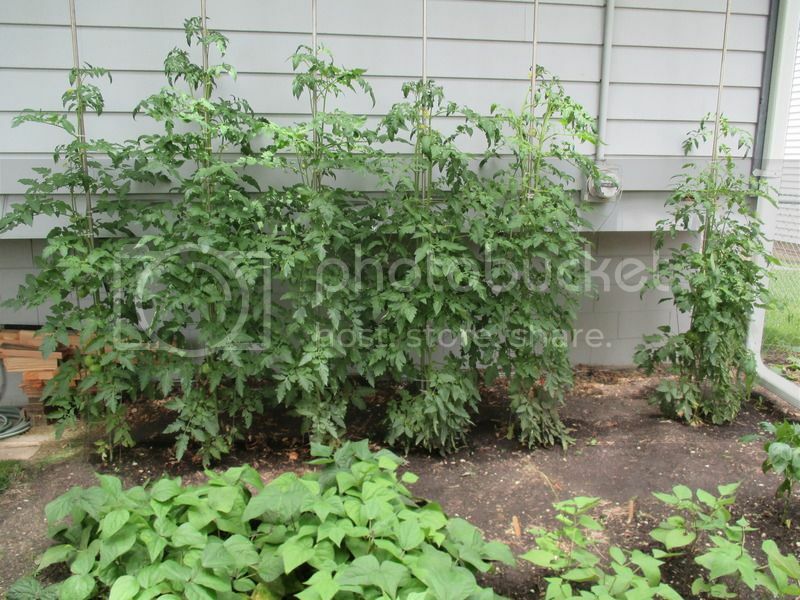 They're 5-6+ feet tall now which is par so far but no ripe tomatoes to pics yet. From left is big beef 3 plants and 3 plants of super steak. This is a pic of the largest super steak tomato of plant #6 from left. Here we have my cucumbers (first crop) and you can see the damage from the mosaic disease I can't get rid of. Here's the 2nd crop of cucumbers, if you look close you can see the mosaic disease has already infected the young plants. Here's my "green" beans, they're doing quite well. I like the purple beans because they turn green when you cook them. They are the royal burgundy variety. The next 3 pics are my beets and peppers, hot hungarian, californis wonder bell and serrano. You can see the devistation of the bacterial leaf spot that I can't control and no bell peppers so far to speak of. 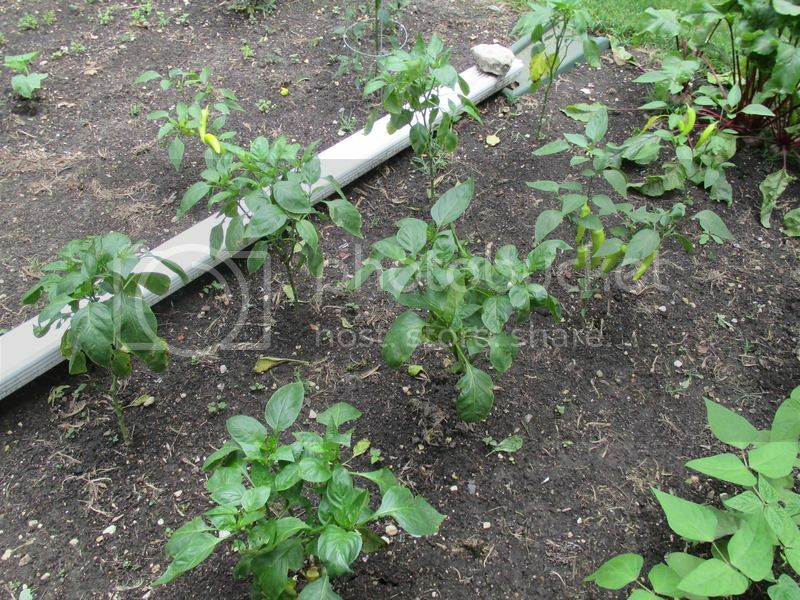 Usually by this time of year the plants are 3'-4' tall and have several medium size peppers on each. Hot hungarian and bell peppers. everything is looking great! Good work! Looking great. We are here for this very reason. Also, would you post a close up of one of those cucumbers leaves? My cucurbits are in sorry state between the ones that collapsed due to SVB (C.pepo and C.maxima varieties not cukes) and spreading powdery mildew -- sprayed some with milk yesterday -- I really need to take care of the ones on the other side of the house today... (I'm staring at a spotty leaf right outside this window....) I cut off the worst ones and try to spray once a week. lexusnexus wrote: Looking great. We are here for this very reason. Also, would you post a close up of one of those cucumbers leaves? I'll see if I can post some pics tomorrow. The plants are considerably larger now but the mosaic disease is still present. OK as requested. 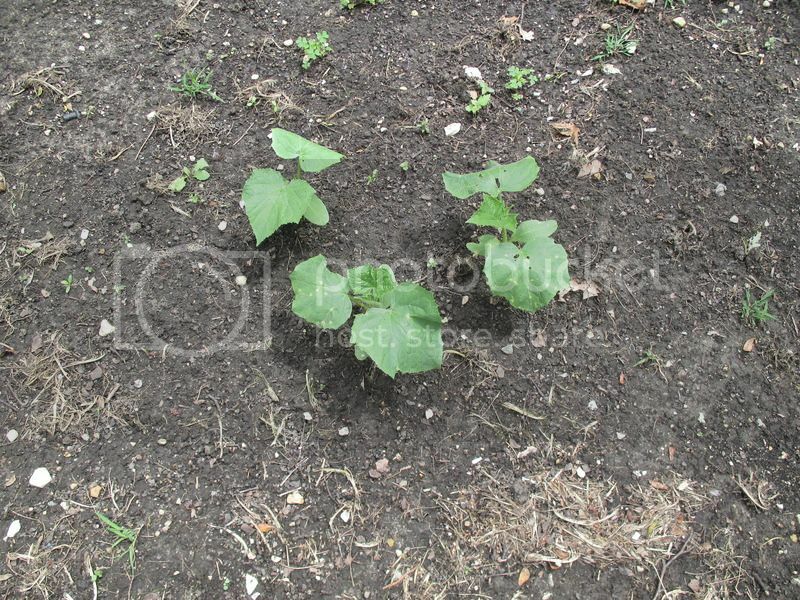 The first two pics are the 2nd planting of cucumbers that are from the pics in the OP. About 10 days ago I trimmed the leafs off that were showing mosaic disease and the rest of the plant(so far)looks pretty good. It's also been a lot dryer lately, so maybe that helps prevent mosaic somewhat? 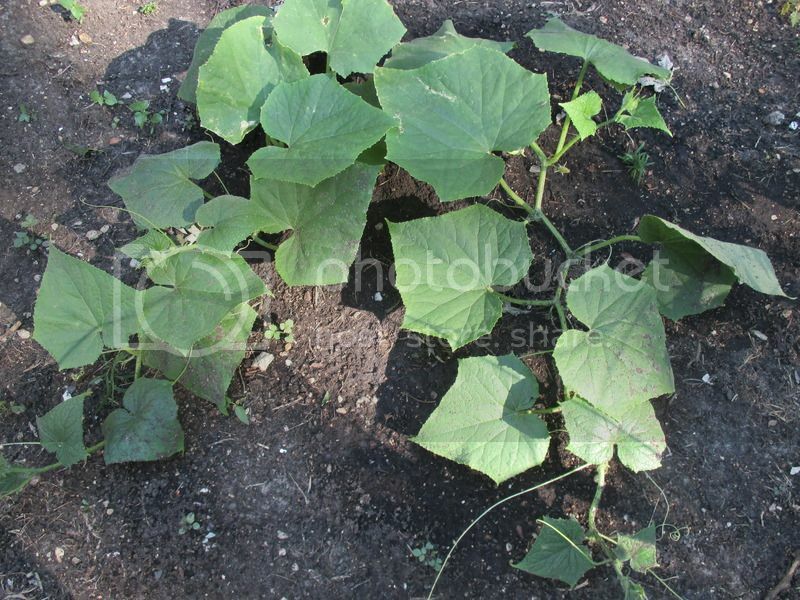 The third pic is the first crop of cucumbers which are all but finished off now. The 4th pic is that nice tomato from the OP that's turning ripe now. I can't wait for that tasty tomato. Maybe today or tomorrow she'll be history, I hope. Definitely some powdery mildew. Any bugs observed? You may also have some downy mildew but can't tell from the pics. This has been a brutal year for cucumbers. 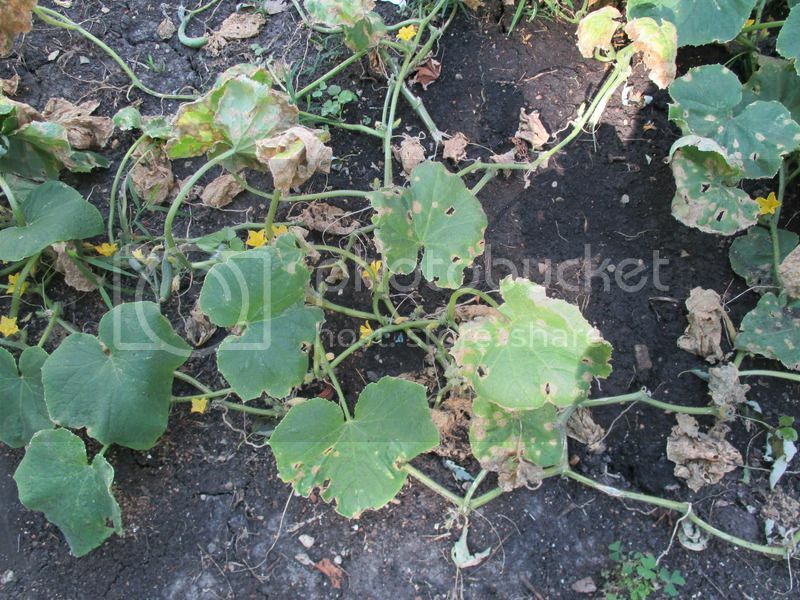 I don't grow them but many of my gardener friends are reporting problems with their cucumbers. We all try to do intensive gardening, but there are the downfalls to this. It crowds plants and reduces air circulation through the plants. Also, it provides a path to pass diseases from plant to plant easily. Remove those leaves having a lot of the damage as they are no longer productive. Try some fungicide on those showing little very small areas. And prune as best you to ensure air circulation. I agree it is powdery mildew and probably downy too. If it was CMV the whole plant would show it and it looks different. 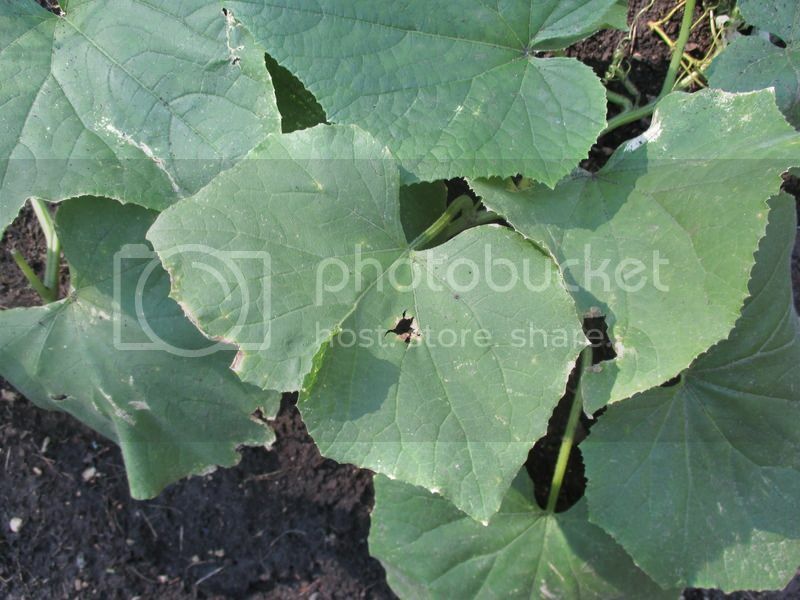 Many cucumbers have been bred to be CMV resistant. Fungal disease is the usual way that my cucumbers end up going. 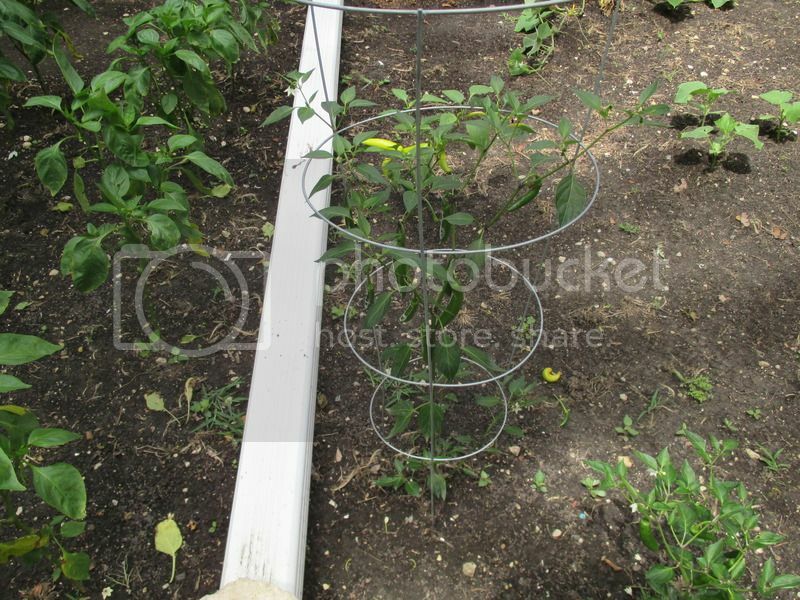 It helps to trellis them up instead of sprawling and to water at the base of the plant. When the weather is humid and wet, you need to use fungicides to prevent the fungal disease or at least slow it down. The beans look like they may also be getting downy mildew. I saw some suspicious spot on small seedlings. Peppers will get bacterial spot and it is hard to control. It will spread by seed and if it is really bad, you will have no choice but to pull the plant and you should not plant solanaceous family in the same spot for a few years. 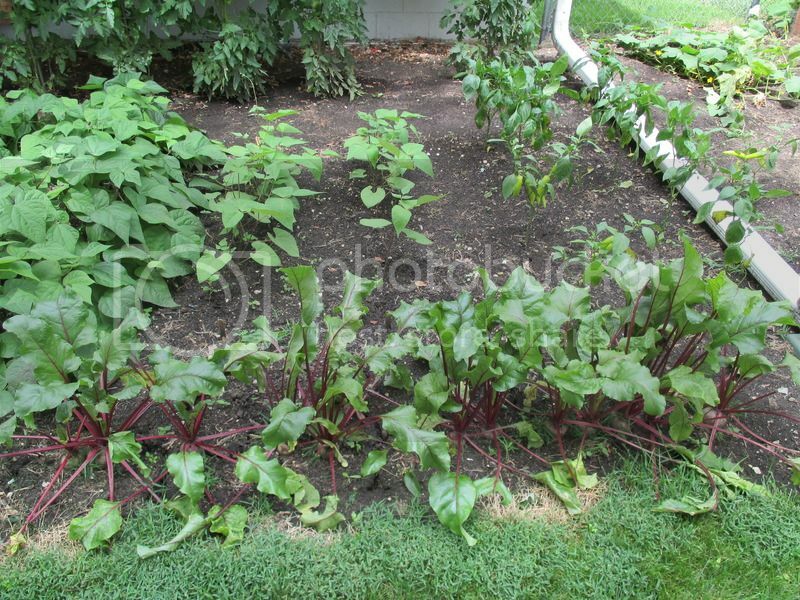 The beets look like they are ready to eat. When the weather is wet and humid, you will need to have a fungicide program to slow disease progression. I suspect the tomatoes probably will also be showing signs of mildew, bacterial speck or cercospora leaf spot as well. If your peppers are showing bacterial spots or cercospora leaf spots, then the tomatoes which are in the same family may end up with the same problem. Most of the plants you are growing are susceptible to fungal diseases so, you do need to have a preventive spray program especially when it has been raining so much. Your garden looks very good considering all the rain. Thanks for the advice gentlemen! The tomatoes look good but not as many tomatoes as usual and other gardeners in the area say the same thing. I also noticed not as many bees the last couple years. 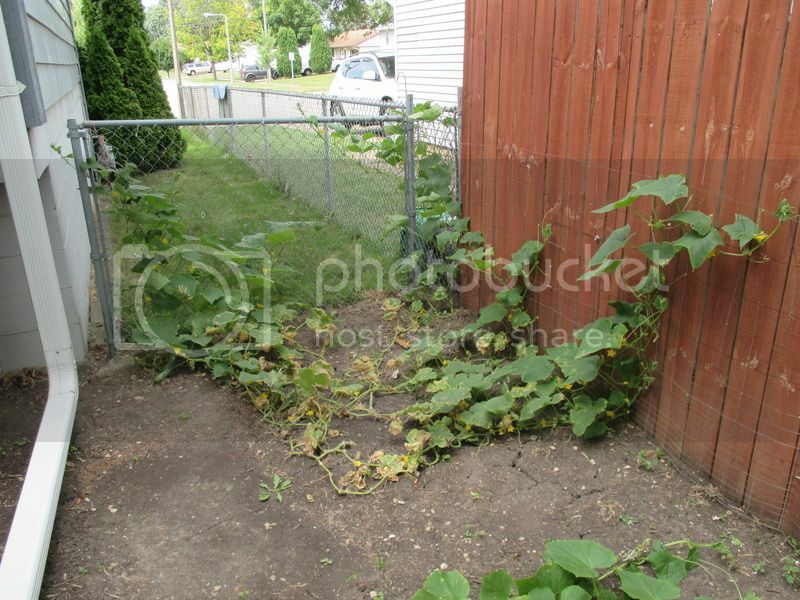 The cucumbers are in the corner of the garden that has a chain link fence for them to grow on(not pictured). Beets are delicious and I've been using the greens with ham&cheese sandwiches. I've blanched and froze 18 double serving of green beans so far with the 2nd and 3rd crop planted recently. 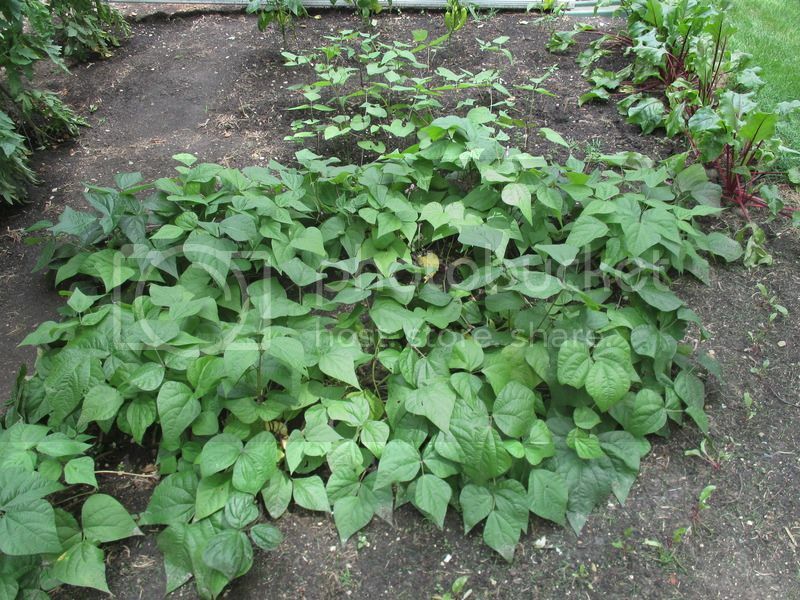 I should have green beans up until frost if it comes early this year? 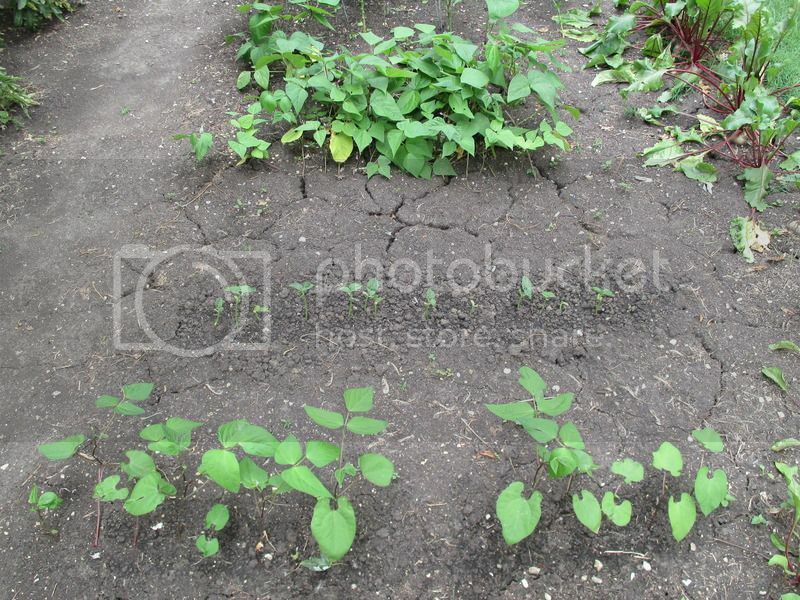 I'll see if I can get some better pics of the cucumbers, tomatoes and beans this weekend. Tomatoes are not dependent on bees for pollination. They are self-pollinating/ wind pollinated. If the tomatoes aren't producing well, it would be some other cause. Soil fertility? Hours of sunlight? Too much rain and not enough sun? 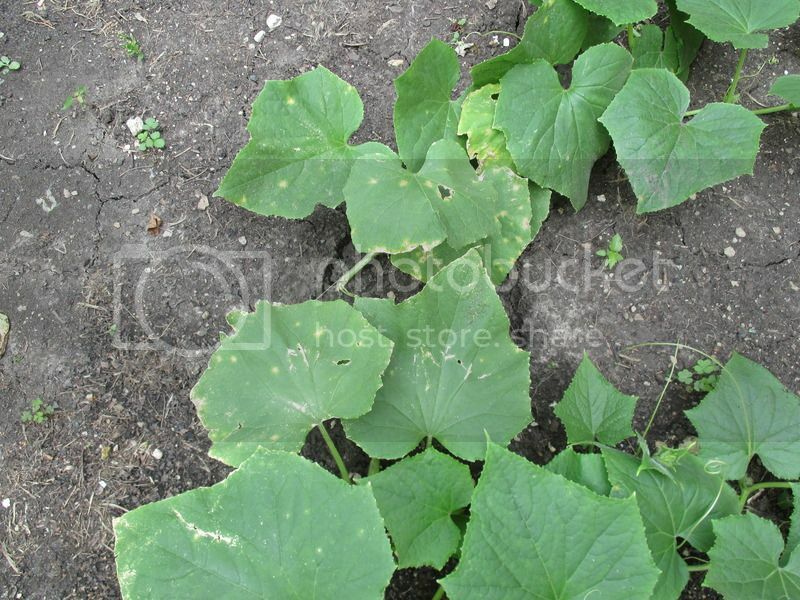 First pic is of the cucumbers that you can see the devistaion from the disease? This pic is the 2nd crop of cucumbers that I plant because the first always dies off long before the end of the season. 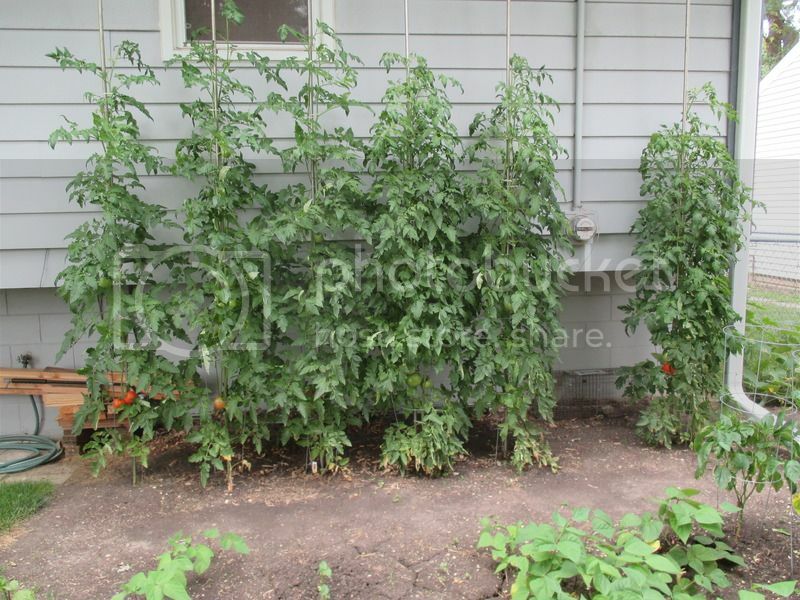 This pic is just a progress photo of the tomatoes. They look nice and are 6'-8' tall now. Pic of the 2nd and 3rd crop of green beans. 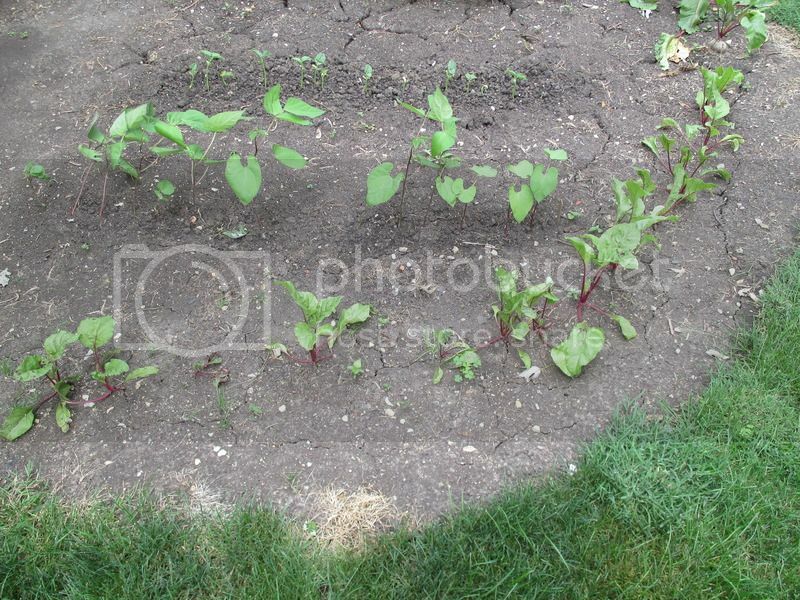 Pic of the 2nd crop of beets. One easy thing you can do with your tomatoes is gently shake the plant to move some of the pollen. Crazy as that sounds it does work. 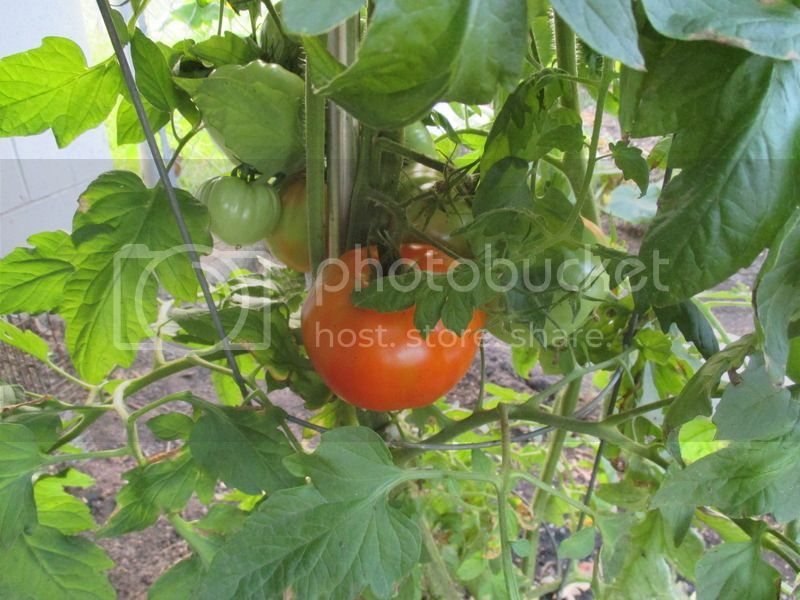 If the temperatures are in the 90's, don't expect much from the tomatoes if they are not heat resistant. It's been a rather cool/normal summer with only a few days in the 90s. Several years ago I finally counted how many tomatoes I harvested by the request of my fellow co-workers. I harvested 238 tomatoes from 6 plants and these were ripe ready to eat tomatoes not green or the few that rot from insects ect. Now I don't expect that many every season but this year seems to be well below average. However there will be more than enough for me to consume. See how the ground has cracked from drying out? 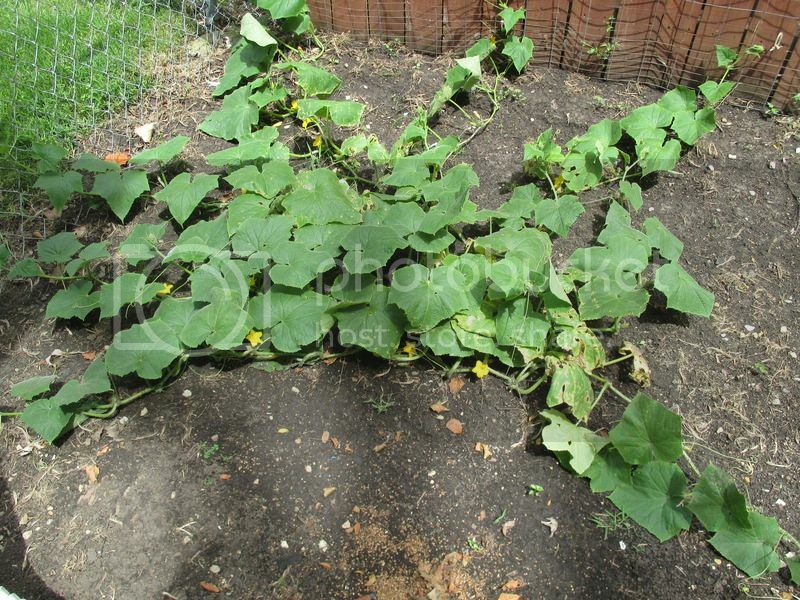 If you mulch that, it will help to conserve moisture and give your plants' roots somewhere to go find moisture. I put down cardboard between rows then pile on everything from grass clippings, shrub prunings, pulled and cut weeds. I admit it looks nicer when uniformly sized identical material is used (like bagged and $$ mulch) and I do in the front yard, but I can't buy mulch when all this mulching material continually renew on their own for free and I have to get rid of them somehow. I try to put more easy to break down garden waste in the compost bins in the summer mixed with the kitchen scraps that look too much like garbage. I'm not so worried about weed seeds because anything that tries to sprout get trampled INTO the mud. I'm also definitely shifting my cultivating method to scraping up all the good topsoil from the paths and piling onto the rows as raised rows. The cardboard/mulch breaks down and turn into more good topsoil. So it's basically composting in place.